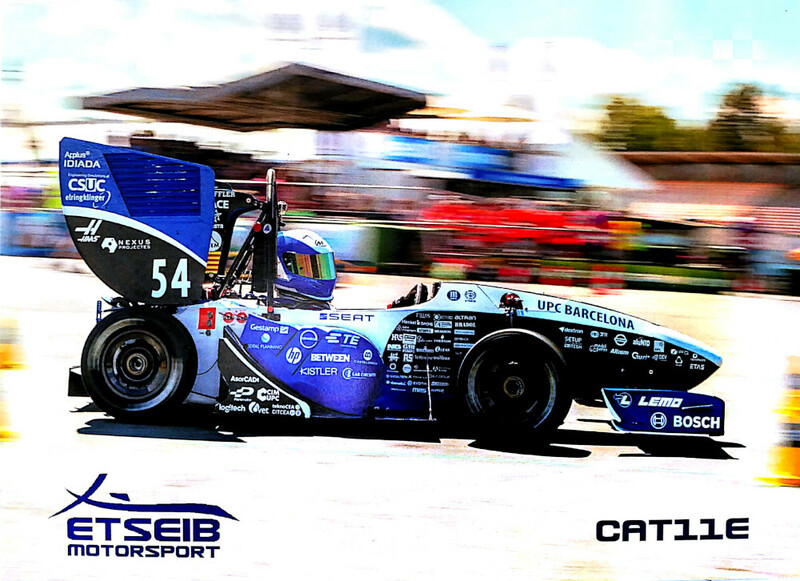 After months of work, designing, building and testing with the CAT11e, last August they competed in the most prestigious competitions in Europe: Formula Student Czech Republic, Formula Student Germany and Formula Student Spain. Competing against the best teams in the world, the team has once again demonstrated its progression year after year. For the first time, the team has performed dynamic tests at a competitive level, winning for the first time a dynamic test, the Skipad in the Czech Republic, thanks to which they finished third in the global competition. For years Cervi has been collaborating with the "Escola Tecnica Superior d'Enginyeria Industrial de Barcelona", a university center integrated to the Polytechnic University of Catalonia, specialized in industrial engineering. A group of university students of that center form ETSEIB Motorsport and are responsible for the design and construction of a car build to compete in the Formula Student. Work is already underway on the design of the CAT12e, a prototype that will include for the first time an engine on each wheel to increase the performance of the car on the track and thus be able to get even closer to the best teams in the competition.